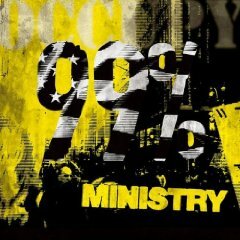 Ministry said that there last album would be in 2007 and they would do a farewell tour, so we weren't expecting to hear anything else by the band ever again. Then 4-5 years later they bring out "Relapse" a very strong album considering the length of time it was between albums. The main single was this cracking track. "99 Percenters" is about the Occupy Wall Street movement that was going on in 2011. Even if you remove the politics from the track which, is actually quite difficult with a lot of Ministry songs, you still have a phenomenal industrial metal track. It just packs so much punch you forget this is a band that have been playing music for over four decades now and you can make a strong case to suggest that they're just as loud as they've ever been. Ministry are a timeless band that demand your attention if you like metal, there's a reason why they are considered the grandfathers of industrial metal. If you missed #40 go here.